We are here to answer your questions and guide you through the admissions process! 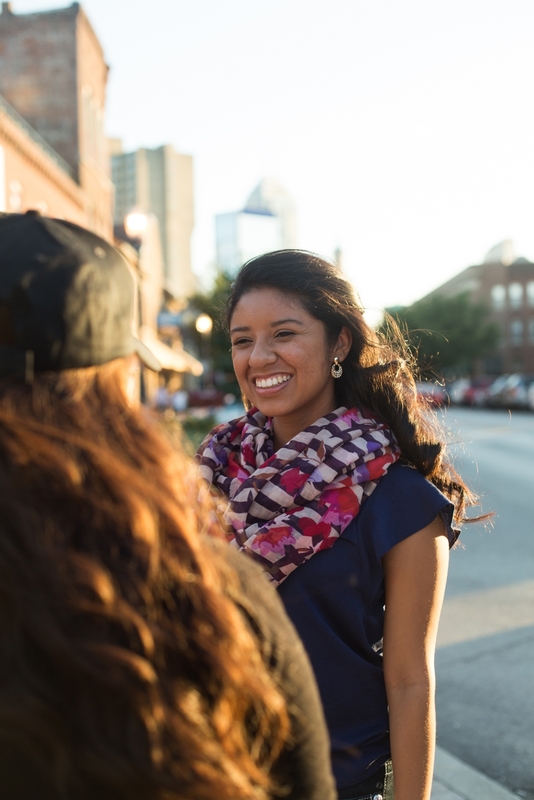 Whether you are still exploring, you are not sure where to begin, or you are ready to take the next step to become an IUPUI student, we want you to feel connected to the IUPUI community throughout the admissions process. We offer several ways for you to ask questions and learn about IUPUI. We travel to several countries throughout the year to meet with prospective students. You can make an appointment to meet with an admissions staff member. The application process might seem overwhelming because of culture or language barriers. The IUPUI International Student Ambassadors are here to help. The international ambassadors are current students who have already gone through the process. We have ambassadors for several languages. Your amabassador will help you through the application process step-by-step until you become a part of our campus. Are you already here or planning a trip to the U.S.? Visit our campus to figure out if IUPUI is the right fit for you. You can take a tour and also meet with an admissions counselor one-on-one.